The Russian president has ordered salary cuts of 10 percent for all members of his administration, Vladimir Putin’s press secretary, Dmitry Peskov, who is also deputy head of the administration, has told reporters. Peskov added that the announcement was made personally by the president at the Friday conference with the permanent members of Russia’s Security Council. The press secretary noted that the salaries’ issue was not on the agenda of the meeting. Earlier this week, State Duma speaker Sergey Naryshkin told fellow lawmakers that he intended to address the president with a request to cut their recently increased salaries as part of the Russian government’s budget optimization. Representatives of all parliamentary parties supported Naryshkin’s suggestion in mass media comments, but no decision has been made yet. In December, Vladimir Putin ordered a one-year freeze on civil servants’ pay in various state offices, reacting to the sharp fall of the Russian national currency caused by a plunge in oil prices. The order froze the salaries for all employees in the Russian Presidential Administration, the Government, the Audit Chamber and the central and territorial divisions of the Foreign Ministry. According to the State Statistics Agency, Rosstat, the average salary in federal executive authorities in the first nine months of 2014 was 96,500 rubles per month, and the average salary in the country over the same period was 31,600 rubles per month. The average salary in the Presidential Administration amounted to 216,400 rubles, and in the government it was 200,400 rubles. Over the same period the average exchange rate was about 34 rubles to the US dollar. The monthly salary of a State Duma MP in Russia is currently 420,000 rubles, or $6,700 at current exchange rates. Lawmakers also have the right to a quarterly bonus of 81,500 rubles, or about $1,300. 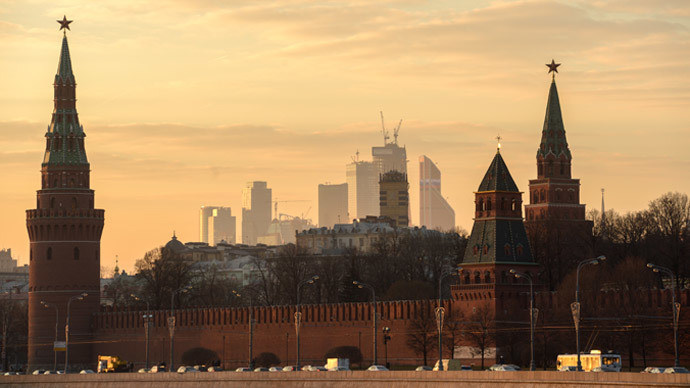 Russian MPs are legally banned from receiving any other income while holding their parliamentary posts, with the exception of artistic or educational fees.